"James and Helen have been great supporters of the Sunshine Foundation Dream Village in Davenport, FL, donating beautiful flower arrangements for our annual gala! They take the time to plan and design the flowers to match our theme each year. Their quality, service, professionalism and compassion are truly appreciated. Thank you Flower Power for the continued support!" 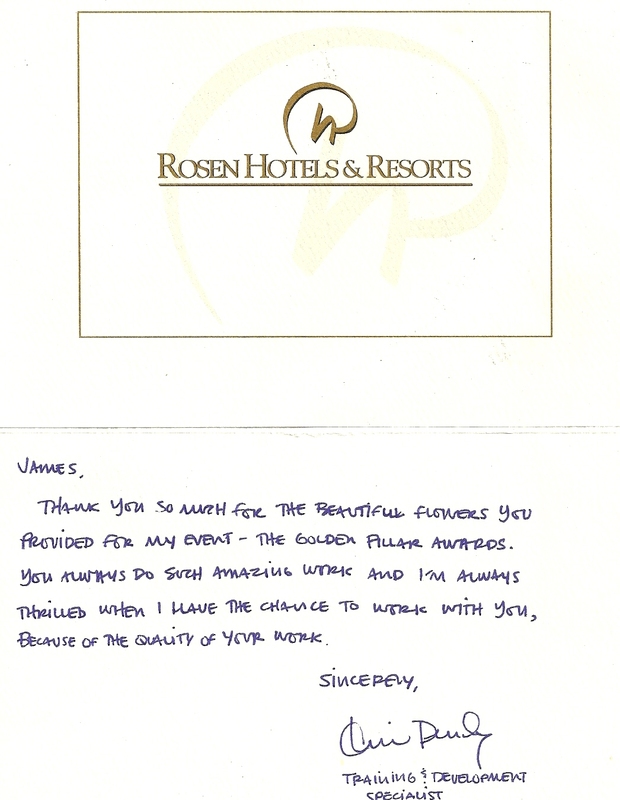 Thank you so much for the beautiful flowers you provided for my event – the Golden Pillar awards. We continue to get phone calls from friends and family members telling us how beautiful our reception tables were. The flowers were arranged beautifully and the lights added a perfect touch. 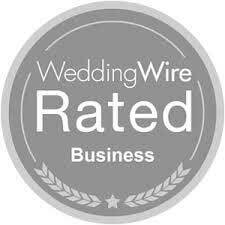 We appreciate all of the time you personally spent with us in the months leading up to our Wedding to help make our day so wonderful. My family ordered flowers all the way from Texas, not knowing what the florist would send....they were BEAUTIFUL and I was very pleased....I intend to buy all my flower arrangements from Flower Power...also, the flowers were very fresh. The Team at Flower Power were great to work with. I got my wedding flowers done with them. Paid half up front and the other half when they were completed. They called me to come view a mock up of my bridal flowers, they were wonderful just as I had asked. I have already refered friends to them. They are outgoing and Friendly.. Even just to send a special someone a little something..
You are the BEST! The flowers and arrangements for our daughters wedding last Friday were gorgeous! Our daughter said they were perfect, just what she wanted. Thank you for doing an outstanding job. I just wanted to thank you for the wonderful center pieces you made for our function. They were exactly what I asked for and they were beautiful. I appreciate you working with me to achieve the look I wanted. The minute I saw the bouquets for my wedding, I was so excited. You did a fantastic job!! Thank you so much. I received lots of comments about the flowers. They also looked so nice on the cake. Thanks for being part of a very special day!! I just wanted to let you know that I absolutely LOVED both of the bouquets. The ceremony floral arrangements were also beautiful and just perfect- I will certainly continue to recommend you guys to all Rosen (and other) brides!